Used to measure the earth resistance in power substations, industries, distribution networks, transmission towers/electrical pylons. Perform earth resistance measurements of simple or complex electrode systems, ground resistivity measurements (4-wire Wenner‘s principle), and spurious voltage measurements according to IEC 61557-5. The equipment injects an electronically generated current in the soil. Both current and voltage developed are measured with high precision. Perform earth resistance measurements of electrical pylons. The influence of adjacent pylons is minimized by a Guard cable connection. 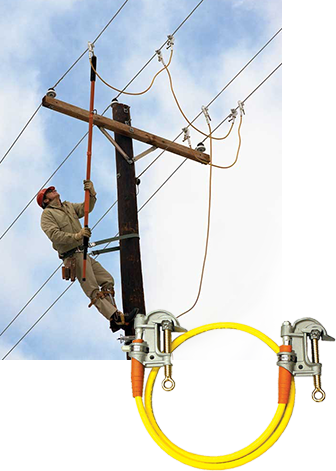 Perform in-service testing of temporary grounding jumper assemblies used on de-energized electric power lines and equipment as specified by ASTM Standard 2249-03. 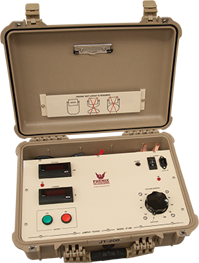 Model JT-200 Ground Jumper Tester is equipped with separate voltage sensing leads to avoid problems related to contact resistance between the test set and jumper under test.